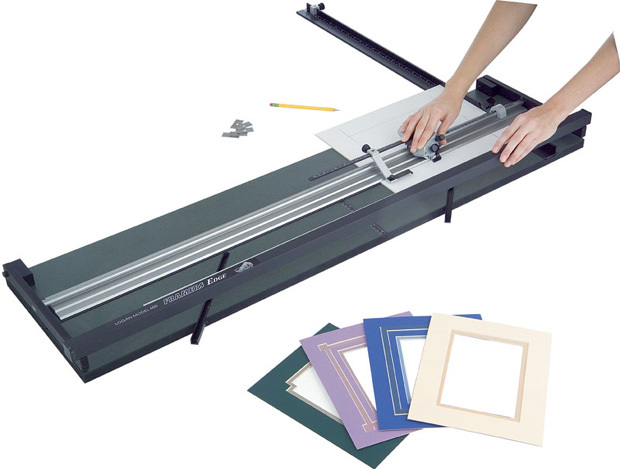 Logan 650 Framer's Edge: 40"
* Heavy-duty construction, rich features, and an attractive look make the Framer's Edge the preferred system for framers and serious artists. * Handles high production mat cutting as well as small projects. * A non-stick coated cutting bar provides smooth cutting and needs no lubrication. * Parallel mat guide slides smoothly in aluminum channels and enables quick, accurate border measurements up to 5-1/4" (13.33cm). Fully scaled 27" (68.58cm) squaring arm holds mats perfectly square. * Base is 3/4" (1.9cm) composite board surfaced with durable, easy to clean laminate. 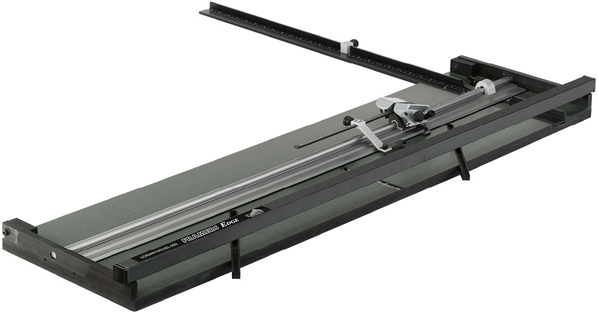 * Includes production stops, 10 extra blades, dual straight & bevel cutting heads, and fully illustrated mat cutting manual. * Need to make multiple openings or work with oversized matboards? 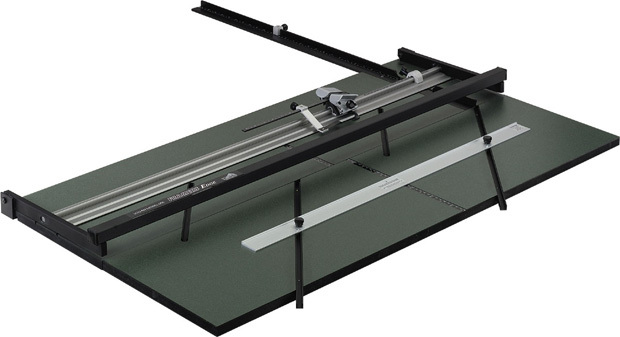 * The Framer's Edge Extension Board mounts easily to Logan 650, 655, and 660 Framer's Edge mat cutting systems. * Allows border sizes up to 17" (43.18cm) using parallel mat guide.